The 9th London Design Festival, which will be held from 17-25 September, will be the largest yet with over 180 partners and more than 250 events over 8 days. As part of the festival, there will be commissioned landmark design installations all over London. 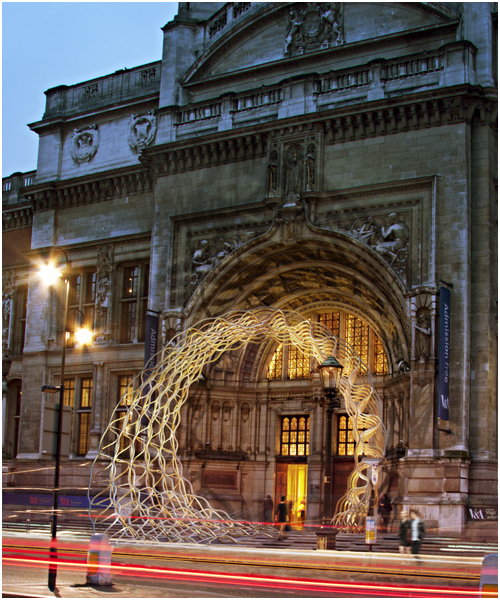 One of these include an installation called Timber Wave that transforms the grand entrance of the Victoria & Albert Museum (the V&A) by Amanda Levete Architects. The installation will be a three-dimensional latticework spiral made of red oak spanning the height of the museum doors. The installation is supported by the American Hardwood Export Council with lighting designed by SEAM Design. 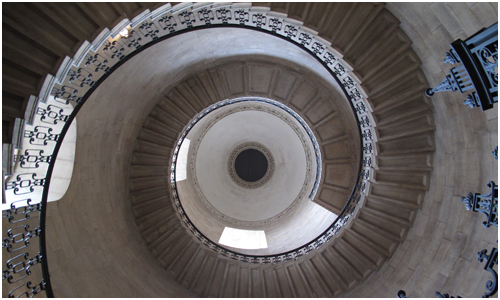 Also for the first time, St. Paul’s Cathedral will also host an installation by UK-based architect John Pawson, which is a metal and Swarovski crystal half-hemisphere at the base of the Geometric Staircase in the Southwest Tower of the Cathedral. The installation will allow visitors a greater view of the Catheral than the natural eye could see. Other installations include the Textile Field installation inside the V&A by the Bouroullec Brothers of France, which is an expansive, colored foam and textile installation with gentle inclinations that produce a sensual environment on which visitors may comfortably lounge and immerse themselves in the Raphael Gallery. 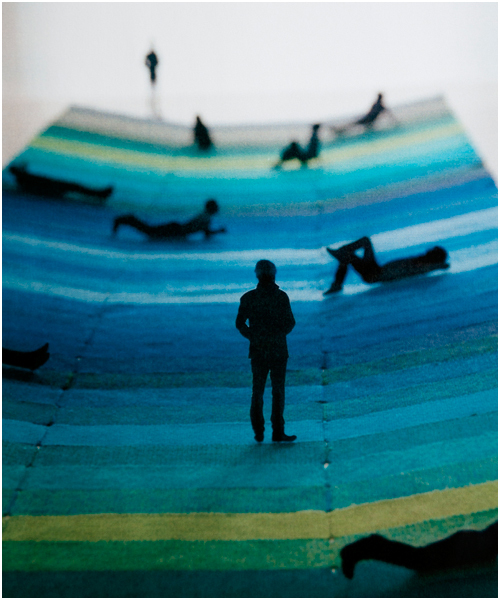 This 30-meter long installation is supported by Danish textile maker Kvadrat. In addition to installations, the festival will continue to include the design districts such as the Brompton Design District, Covent Garden as well as the Clerkenwell Design District. Also, shows including 100% Design, Tent London, Decorex, the Anti-Design Festival and more will be there as well! Photos provided courtesy of the London Design Festival.